Many people think the world revolves around them, but what if it seemed like every personal life event was marked by some significant stage in world history or pop culture? 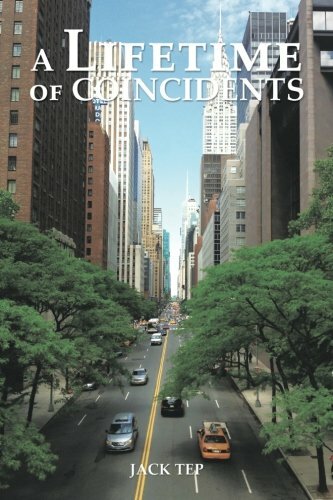 In “A lifetime of coincidence,” by Jack Tep, the author weaves a chronology of events in his life and connects them to popular world or national events and mainstream catch phrases. “This book playfully explores specific moments in my life when either coincidence or change delivered songs, movies, fads or turns of history that resonated strongly for me and the people around me,” Tep said. Tep’s book is a memoir of his life, peppered with incidents affecting the American public, which coincided with events in Tep’s life. He provides readers with nostalgic songs and moments in history and ties them to his personal experiences. Jack Tep is retired now and wants to explain his life experiences. Through songs, movies and pop culture events, Tep gives a chronological coordinating personal story. Turns of history and events have woven the soundtrack to Tep’s life and, through comparing his own life events, he shows how we are all connected and that culture can mirror our own life and time.